I’ve been using this simple, yet highly effective method for a long time. Of all the anti-procrastination techniques out there, the Pomodoro technique has helped me the most to overcome difficult moments, from lack of motivation to the old writer’s block. So I decided to learn more about the science behind its success. Here’s what I found. Who can use the Pomodoro Technique? Procrastination – most professionals out there are quite familiar with the term. Many can easily relate to the problem of delaying something to a later time, and to the stress that comes with it. This is how doctor Timothy A Pychyl vividly describes what procrastination feels like. It starts as a negative emotion in the face of a mammoth project. And how do we normally react to it? Many of us tend to run away and hide in a numbing activity such as binge watching or Facebook. Learning to cope with these negative feelings, the doctor concludes, is absolutely crucial to our successful goal pursuit. This is where the Pomodoro Technique comes in handy. 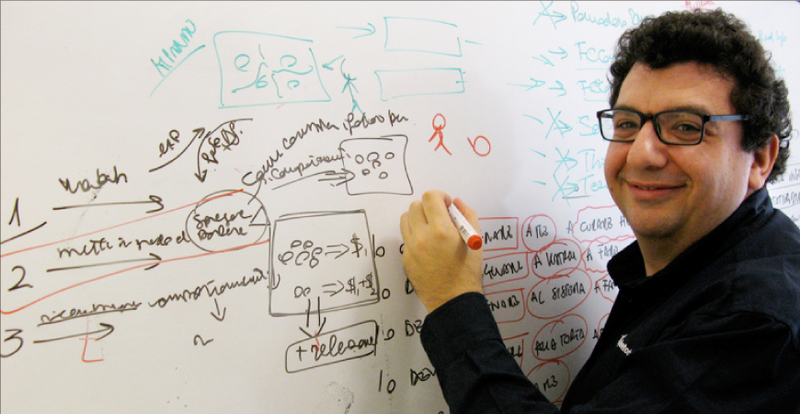 Author and university professor Francesco Cirillo faced the problem of procrastination while he was teaching. To his surprise, the solution came from a tomato-shaped kitchen timer. Since then, he’s been using this simple timer to help him chop huge projects into small, easy to “digest” tasks. He called these manageable units Pomodori, and thus become the inventor of a very popular time management technique. Over the years, his method has helped many chronic procrastinators get rid of their guilt and actually enjoy their work instead. And it’s obvious why it’s so effective: no one can climb Mount Everest in one leap. However, taking it one step at the time will get you to the top of the mountain, sooner rather than later. What exactly is the Pomodoro Technique? At a very basic level, the Pomodoro Technique recommends that you divide large tasks into 25-minute chunks, with a 5 or 10-minute break between them. Easy as pie, right? Well, sort of. Because, like most productivity tools and methods, unless used correctly, it will simply blend into your inefficient way of working. It keeps up your spirit, since each Pomodoro is manageable by itself and you don’t have to think about the whole project at once. Bye, bye, mammoth! Each finished Pomodoro gives you a feeling of accomplishment that keeps you going. It helps you gain back control over your workday by encouraging moments of complete focus. 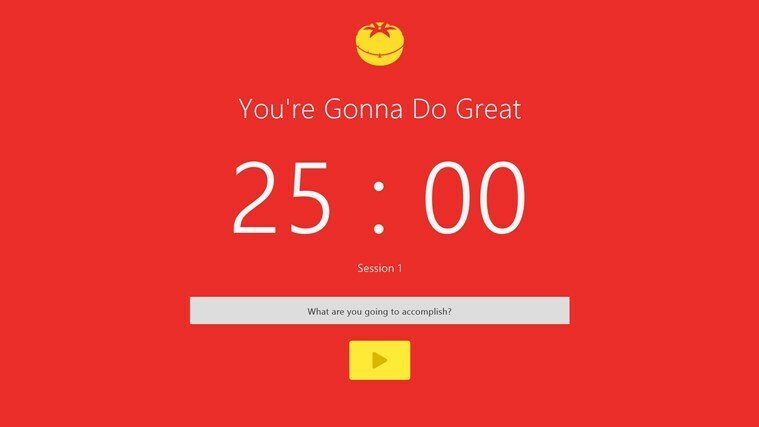 It helps you get rid of the procrastination stress by motivating you to get stuff done, one Pomodoro at a time. Frequent breaks help keep your mind focused on the task at hand. With a little focus and a better understanding of the science behind it, this technique may prove to be your secret weapon against the procrastination enemy. A Records sheet consisting of raw data needed to produce pertinent reports and graphics. Depending on the objectives in question, this contains different sets of boxes. Normally, this sheet would include the date, description, and the number of Pomodori worth of effort needed to accomplish a task. This sheet is updated at least once a day, usually at the end of the day. A Pomodoro is 30 minutes long: 25 minutes of work plus a 5-minute break. Before you get started, choose the tasks you want to approach from the Activity Inventory Sheet, prioritize them, and write them down in the To Do Today Sheet. Then start the first Pomodoro. Make sure you focus on your task completely during those 25 minutes. Disconnect from your social media accounts, close your email, set your instant messaging app on “Busy” (or, if you’re using Hubgets, choose the “Hubgets knows better” status) and just focus to get the work done. Breaks are not optional! Once the time has run out, take a break. Every four Pomodori take a longer break, between 15 and 30 minutes. If you want to maintain a focused mind, you have to give it a few minutes to relax. If you don’t, there’s no reason for your mind not to procrastinate because there is no longer a clear division between time to work and time to relax. On the author’s blog, you can find a quite extended list of activities you can do during the breaks: unwind with some physical exercises, even yoga, watch a short video or even keep it as simple as getting up to get a glass of water. According to the official Pomodoro website, over 2 million people have already read the book. Add to those the ones that learned about it online and you already have a pretty clear picture of how many people find this method useful. However, in spite of the large number of “followers”, Pomodoro is not applicable in all situations. Some types of tasks, especially creative ones, are better left uninterrupted every 25 minutes. Writers, journalists, illustrators, and even more pragmatic professionals such as programmers need uninterrupted blocks of time when they enter their creative flow. Some types of jobs (like Call-Centers) or activities (meetings, interviews, etc.) don’t allow frequent breaks. As a matter of fact, unless you’re a one-man-show, working 25 minutes, completely uninterrupted, can be a challenge. Even the inventor of the technique states in his book that productivity’s real enemy is not bad time management, or lack of will to stick to a program. The real threat comes from unwanted interruptions. In today’s open office environment, interruptions are almost inevitable: someone needs “5 minutes of your time”, that new colleague doesn’t know where to start, an old teammate drops by your desk for a quick chat, emails are popping, Twitter is calling. So before you get started on a new time management technique, make sure you to reduce, if not completely eliminate distractions from your work environment . From booking a meeting room to get a quiet moment to communicating as much as possible via instant messaging apps, make the small steps necessary to ensure your success with the new productivity method.